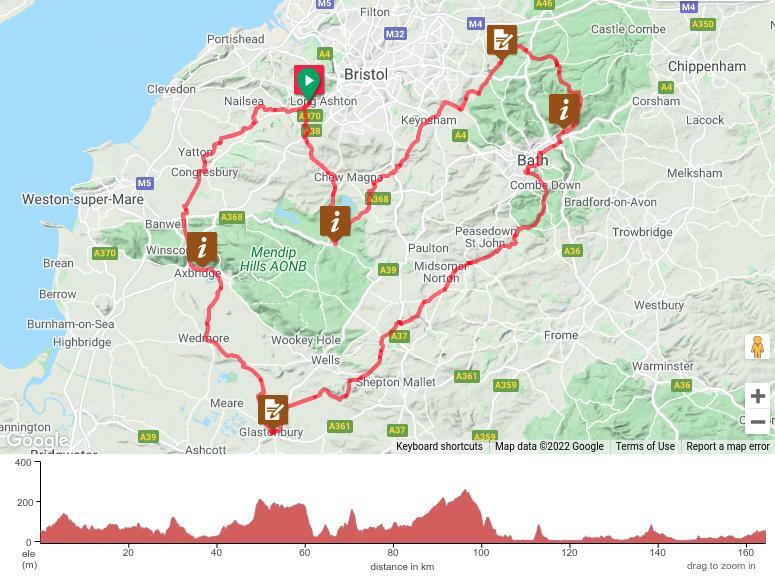 160km cycling event starting from Long Ashton, Bristol. Controls at Doynton and Glastonbury, plus 3 information controls. The newest addition to the popular LVIS Audax events. Now extended to 160km, expect more great views, great cakes and great company.